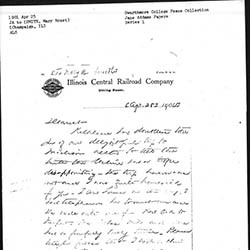 Frederick Greeley was a surveyor and city planner for Chicago. He was chairman of the Special Parks Commission of Chicago, working to establish and develop a series of small parks. He was the first president of the Playground Association of America that encouraged wholesome play for city children. Greeley also served on the Chicago Plan committee of the Commercial Club and worked with the Children's Home and Aid Society. Greeley worked as a surveyor for the Greeley-Howard Company. He was married Florence M. Arnold in 1882. 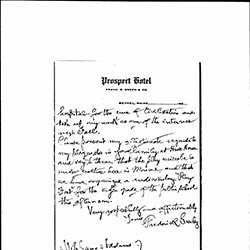 They had two children, Samuel A. Greeley and Alvah Greeley Croker. Greeley died in 1912. "Greeley, City Planner, Dies," Chicago Daily Tribune, January 23, 1912, p. 7. Commercial Club of Chicago. The Commercial Club of Chicago Year Book. : Executive Committee, 1912. Print. 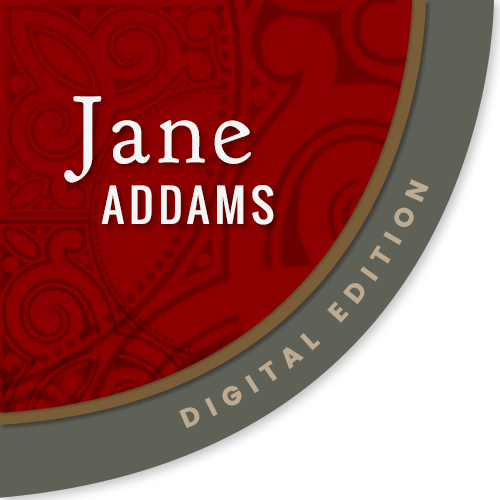 “Greeley, Frederick (1856-1912),” Jane Addams Digital Edition, accessed April 21, 2019, https://digital.janeaddams.ramapo.edu/items/show/156.